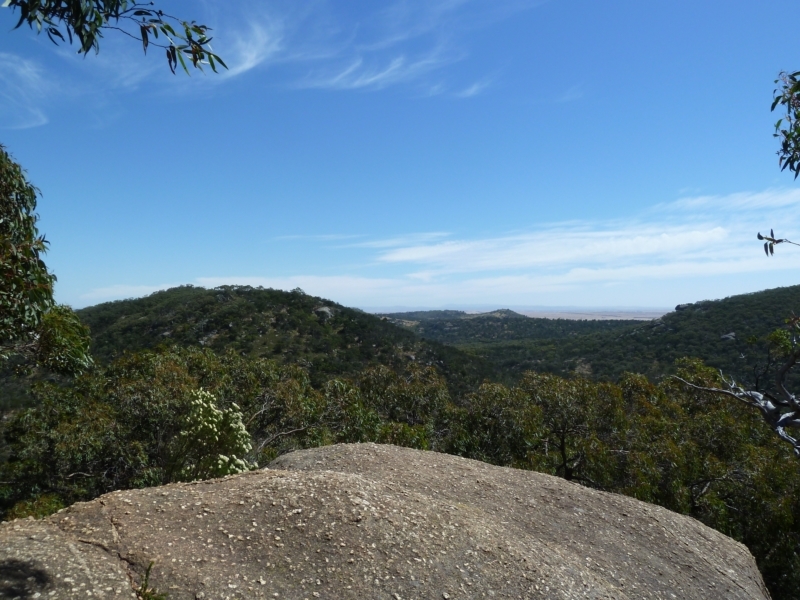 A very rewarding two-hour walk around Flinders Peak in the You Yangs, with great views in all directions. Note: while dogs are allowed on this walk, they must be on-lead. Views, views and more views. 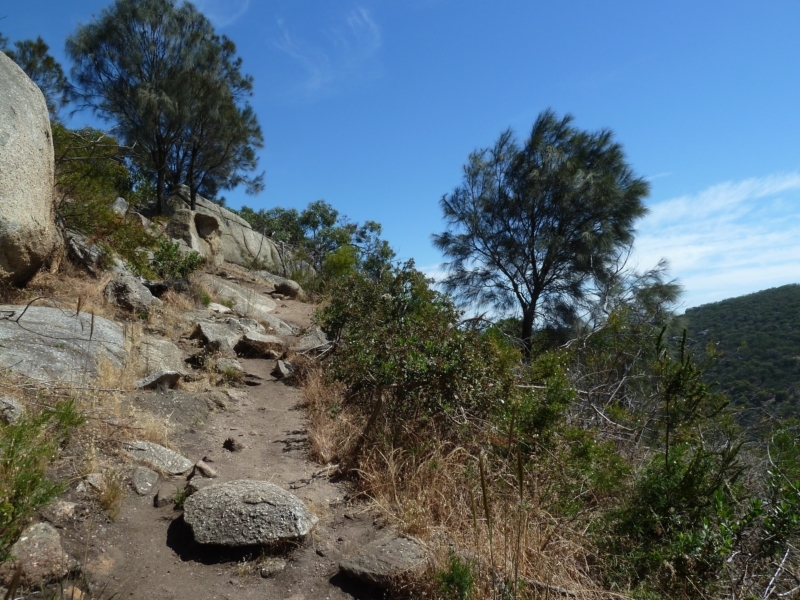 If it's panoramic landscapes and vistas you're after, look no further than this walk, rated by some as one of the top 10 walks around Melbourne. 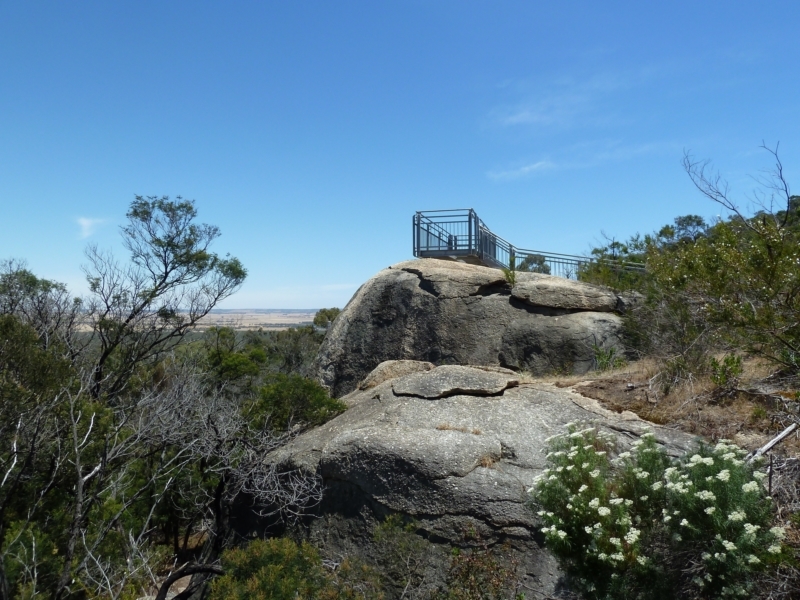 The walk circumnavigates Flinders Peak, the highest mountain in the You Yangs (named after the explorer Matthew Flinders), so by the time you have finished you have enjoyed great views in every direction. 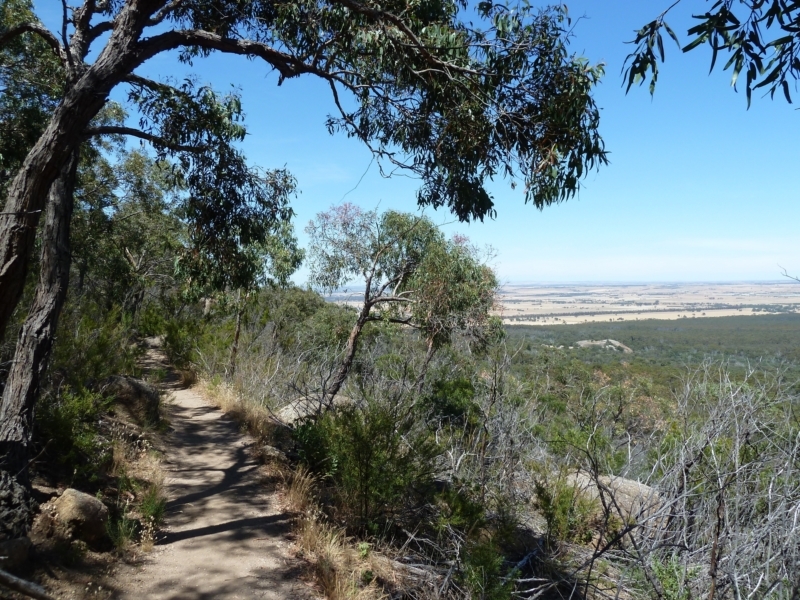 Note that the low vegetation makes for great views from the track, but doesn't provide much shade, making this a particularly suberb sunny walk on a clear day in the cooler months. The track is fairly steep in parts but never really difficult. The walk is uphill at the start but don't worry, it gets easier. Facilities at the car park include long drop toilets, two BBQ areas, information signage, and a shelter with views almost as good as the walk. No rubbish bins though. Dogs are permitted on a leash. 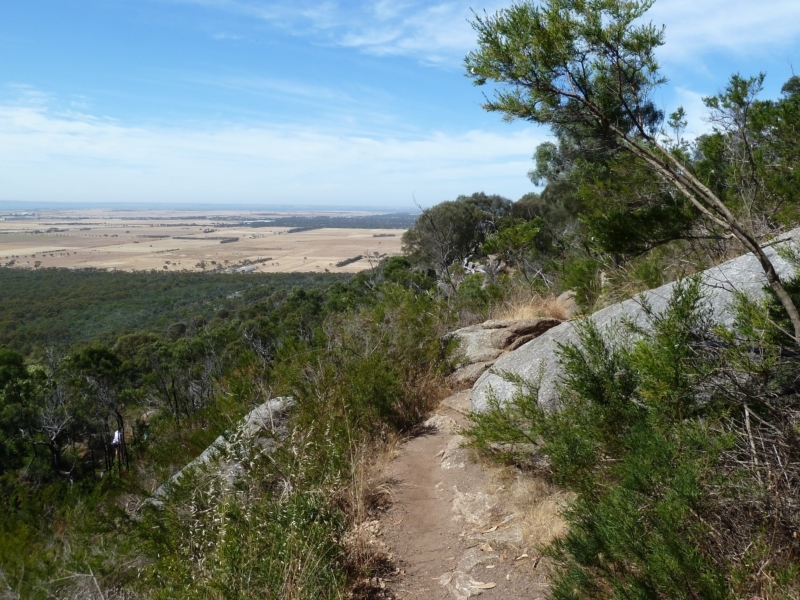 As you travel up the eastern side of the peak, you get fantastic views out over Corio and Port Phillip Bays. In the distance you should be able to make out Arthurs Seat and the Melbourne CBD skyline. 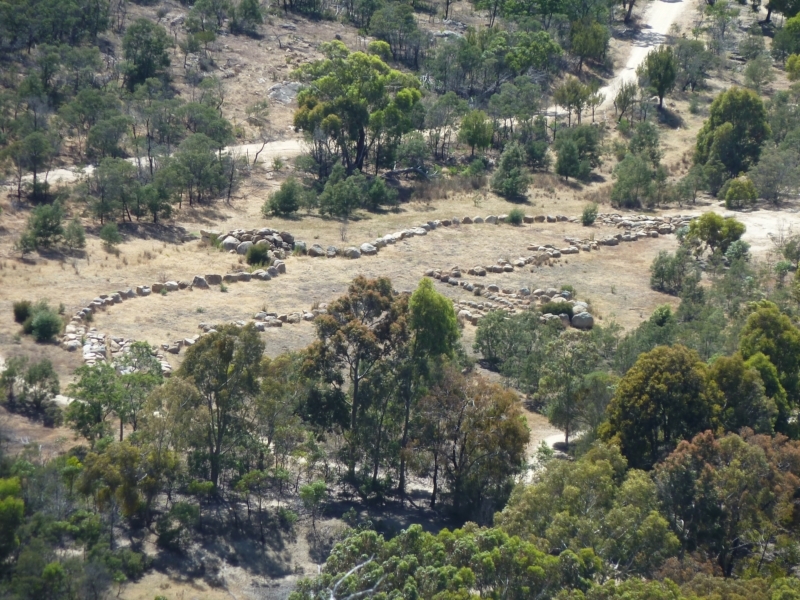 Look down into the forest below and you'll see this monumental rock sculpture depicting Bunjil, the creator spirit of the local Wathaurong People. It was built for the 2006 Commonwealth Games. The track keeps going up, but by this point you've pretty much reached the top. Just take it slow and enjoy the views on the way up! Notice anyone, sorry anything, in the rocks? 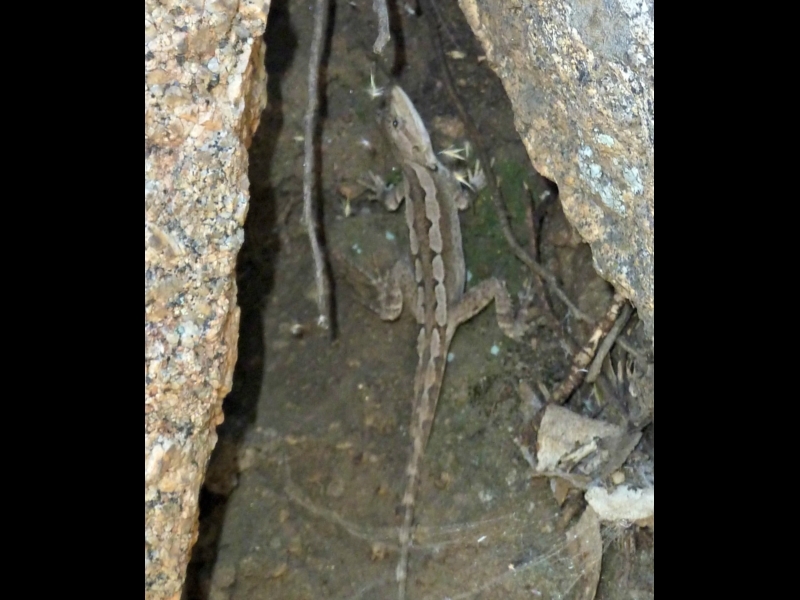 Look for a group of rocks up the hill to the left of the track and you might spot this guy amongst them. 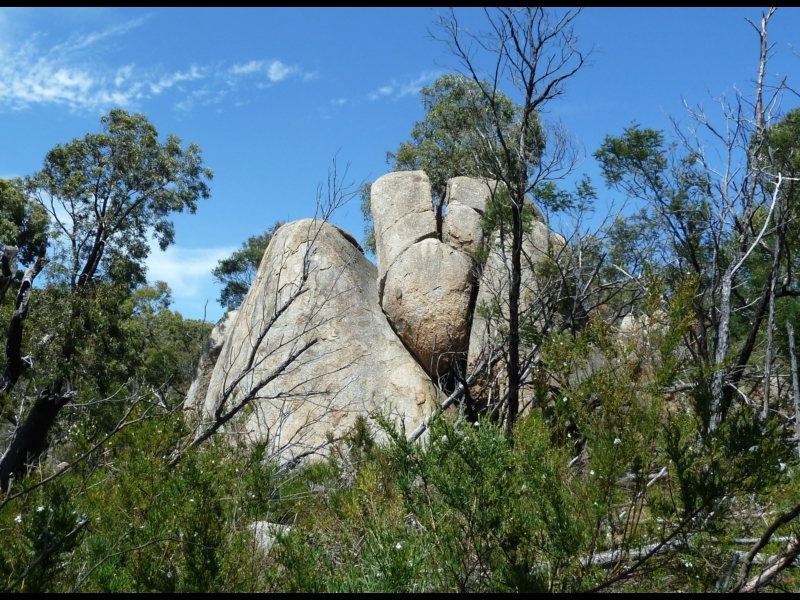 There are a lot of interesting rock formations on this walk, but I particularly liked this one, a split rock between two others. As the track heads west, you start to get views opening up in that direction. 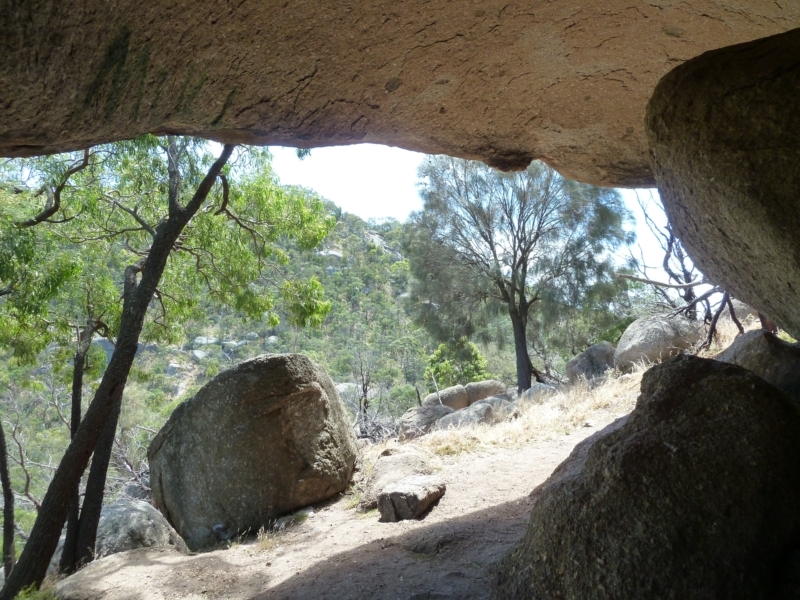 But there's also this massive rock with a large overhang space below. 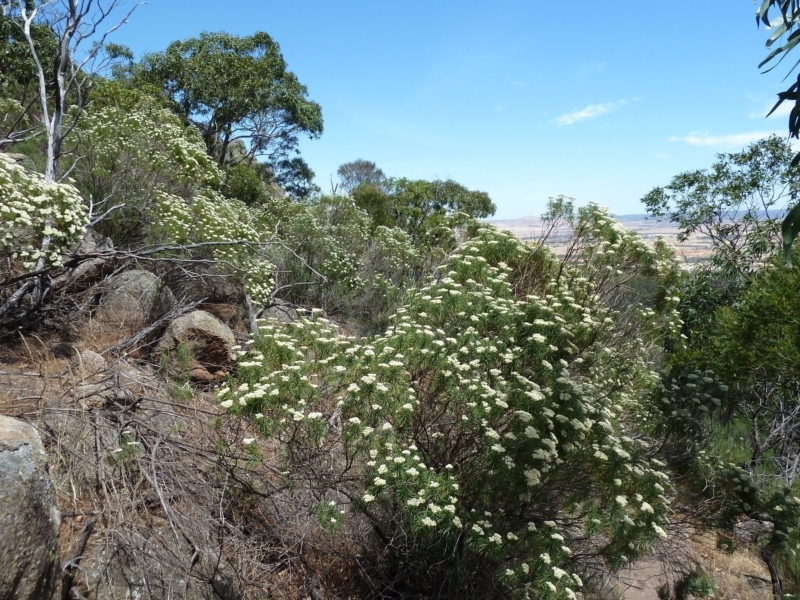 At times there was a forest of these beautiful summer flowering shrubs, one of two common species that were in bloom during our visit (in December). The path flattens out here and there are low trees, providing summer shade. A lovely place to wander along and soak up the views over the landscape to the west. 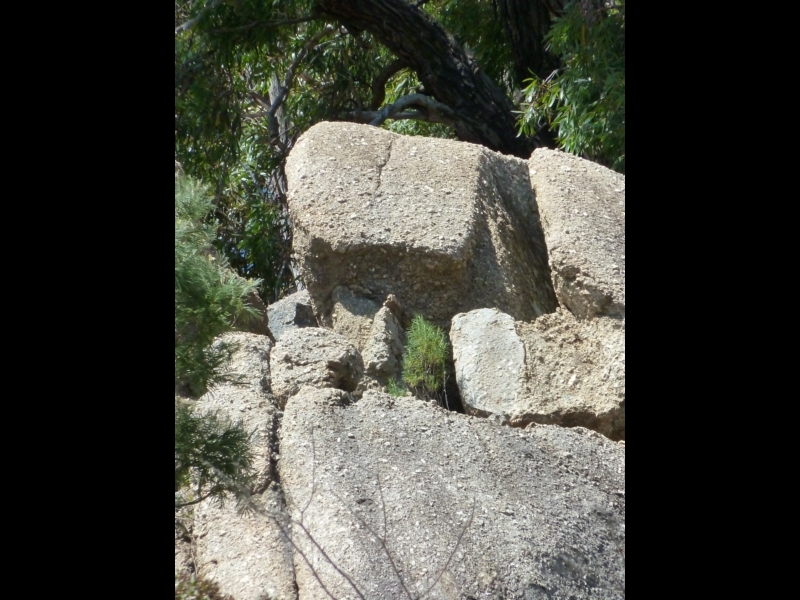 There are plenty of natural lookouts on this walk (huge rocks to sit or stand on), but there's also this more conventional one. Great views of course, especially of Geelong off to the south.